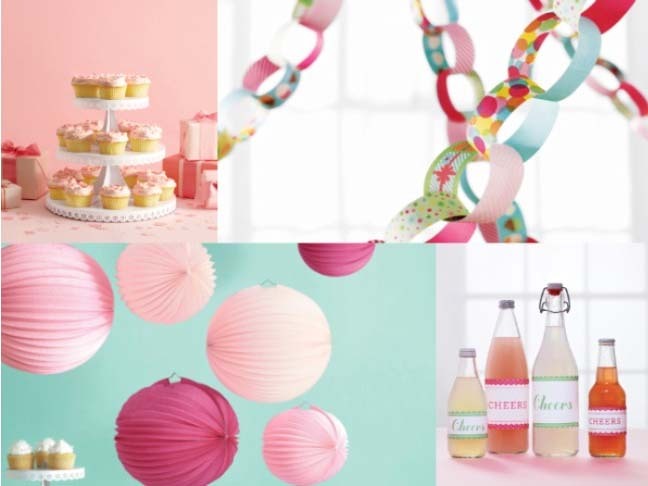 Have you seen the new Martha Stewart line of craft and party supplies at JoAnns? I first saw in ad for it in Martha Stewart Living and instantly made a date with myself to check the whole line out in store. I swear I spent a good hour looking at everything and then deciding what was most worth using my coupon on. I've since been back with many more coupons and have amassed a collection of accordion lanterns and everything from the modern festive line. My husband is thrilled to see our apartment taken over with bins of party supplies.